Propeller Brewing Co. has just released the first in a series of barrel-aged beers. 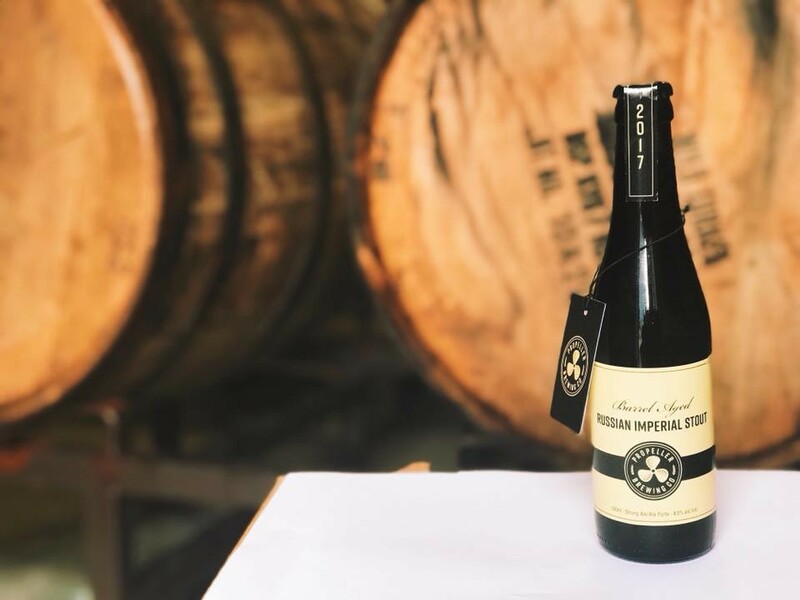 Last week, Propeller launched its Barrel-Aged Russian Imperial Stout—a new take on the original Russian Imperial Stout. Head brewer Cameron Crerar was keen on putting out some barrel-aged creations, so he picked up some Wild Turkey Bourbon barrels to get the ball (and the beer) rolling. After brewing a batch of the regular Russian Imperial Stout, the booze was placed in a barrel to age for three months. “We weren’t doing any fermentation in the barrels, we were just straight-up aging it in the barrel,” says Ploughman. Through this process, the beer took on a lot of the bourbon character, but “without so much of the harshness” one might expect. “A lot of the subtle vanilla, sort of oaky tones you get in bourbon are coming through in the stout, but it’s really quite drinkable as well. It even took on a bit of an amber hue.” Check out Propeller's video of the process here. dates on those are TBD. Drink this: Garrison's Pucker Up! Pick up this pink drink in canned form for the first time on Valentine's Day. Old seasonal favourites and new booze from local craft brewers.